The online encyclopedia chews up and spits out bad facts, and its own policies are letting it happen. The Internet has finally eaten itself. Photo illustration by Slate. Photos via NASA, Creative Commons. Last week, the Internet finally ate itself: A Wikipedia article misreported that a Wikipedia disciplinary case centered around Gamergate had concluded with the scandalous banning of feminist editors, even though the case hadn’t finished and nobody had been banned. Yet by the rules of Wikipedia, the page was correct. Scandal usually travels faster than truth, but this time it fully lapped the facts. How did this temporal paradox come to pass? It began with a Friday, Jan. 23, article in the Guardian: “Wikipedia Bans Five Editors From Gender-Related Articles Amid Gamergate Controversy.” According to the piece, Wikipedia had concluded a massive arbitration case, intended to settle months of chaos, misconduct, and tendentiousness on Gamergate-related pages, by barring feminist editors from editing those pages. Except it hadn’t. The 14 arbitrators were still in the process of publicly amending and voting on a proposal, arguing over its specifics, and changing remedies and votes in an attempt to compromise. Nobody had been banned. But according to the Guardian article, the sky was falling: Five editors who were “attempting to prevent the article from being rewritten with a pro-Gamergate slant” had been banned in a feminist purge, signaling doom for women on Wikipedia. The original Guardian headline and lede from Jan. 23, with my corrections. The identities of the feminist editors weren’t specified in the article, and with good cause: They didn’t exist. At no time in the entire case were there “five feminist editors” up for a ban. But understandable outrage at the supposed misogynist move blew up on the Internet. And more stories followed—in Gawker, Raw Story, the Mary Sue, Inquisitr, and ThinkProgress—all sourcing the Guardian, spreading the myth of the fabled five feminist editors who were the only thing holding off Gamergate’s takeover of Wikipedia. The case had yet to conclude when any of these articles were published. (I was tangentially involved in the Wikipedia case as the target of some of the sanctioned editors’ misconduct.) Some even implied that Wikipedia was banning “feminist” editors in general, not just a handful. The story caught the fast train to outrage junction. Wikipedia and its founder Jimmy Wales, already besieged by Gamergaters, now faced attacks from anti-Gamergaters, anti-anti-Gamergaters, anti-Wikipedians, feminists, anti-feminists, and who knows who else. The Arbitration Committee issued a dry, bureaucratic statement that did little to halt the bile flowing in their direction. Now, here’s where it gets interesting. The rule of Wikipedia is that authority trumps accuracy. Editors are not allowed to contradict what established “reliable” sources like the New York Times, the Washington Post, and the Guardian say, lest editors be accused of dreaded “original research” (a big no-no on Wikipedia). Philip Roth found this out when he tried to correct an error about one of his own books, only to be told by a Wikipedia administrator, “I understand your point that the author is the greatest authority on their own work, but we require secondary sources.” Wikipedia has a policy of “Verifiability, not truth,” which means that citations, even wrong citations, trump all else. So some wags decided to hoist Wikipedia with its own petard, creating an ArbitrationGate page to reflect what the secondary sources said. “Numerous well-regarded feminist editors who were involved in editing the Gamergate controversy page were given lengthy, unusual bans for attempting to maintain neutrality in a controversial article,” it read, citing the news articles. But that’s clearly false, said other Wikipedians, just look at the arbitration-case page! That didn’t help Philip Roth, came the reply. Without any reliable sources saying otherwise, Wikipedia had no choice but to say that the case was finished, at least until some other independent sources corrected the record. As Wikipedia’s reliable source page says, “Wikipedians should never interpret the content of primary sources for themselves,” the primary source here being the arbitration-case page. An earlier version gave the impression that the bans had been finalised, and a quotation suggested that no pro-Gamergate editors had been banned from the site, and that no feminist editors remained active. It might as well have read, “Correction: The sky is not falling.” I’d say that’s up there with Breitbart publishing a hit piece on Obama appointee Loretta Lynch, then discovering that it had hit the wrong Loretta Lynch. The Guardian article—“flawed,” in the succinct words of the Washington Post’s Caitlin Dewey—is a lot less than I expect from the paper that broke so many of the Edward Snowden stories. Wikipedia’s problems remain roughly what they were two months ago, when I wrote about the site’s Gender Gap Task Force arbitration case. There, I criticized Wikipedia for an imperious, nepotistic, and sexist hierarchy, but this time, it’s only fair to say that Wikipedia got a raw deal in the press. While it’s admittedly satisfying to see Wikipedia get a taste of its own “reliable sources” medicine, it did little to advance the cause of truth or neutrality. The press coverage unfortunately reinforced a lot of veteran Wikipedians in their belief that non-Wikipedians are morons, the press included. 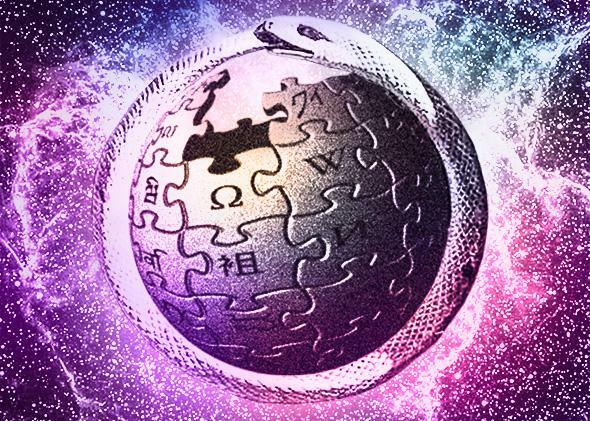 Since Wikipedia’s entrenched elite already shuts out newcomers through a Kafkaesque bureaucracy, a horde of ill-informed tweeters railing against Wikipedia is unlikely to foster dialogue and reform. Bad information does not beget progress. “All this really shows is that we shouldn’t automatically consider the Guardian a reliable source anymore,” wrote Wikipedian Egsan Bacon.